Higher Brazilian beef exports to China are likely to test sustainability commitments in both countries. China (including Hong Kong) imported 44 percent of Brazil’s total beef exports in 2018, compared to 40 percent in 2017 and 35 percent in 2016. Brazil, the largest exporter of beef in the world even though most of the country’s beef is consumed domestically, shipped 1.64 million tonnes to foreign countries in 2018, a 10 percent increase from the year before. 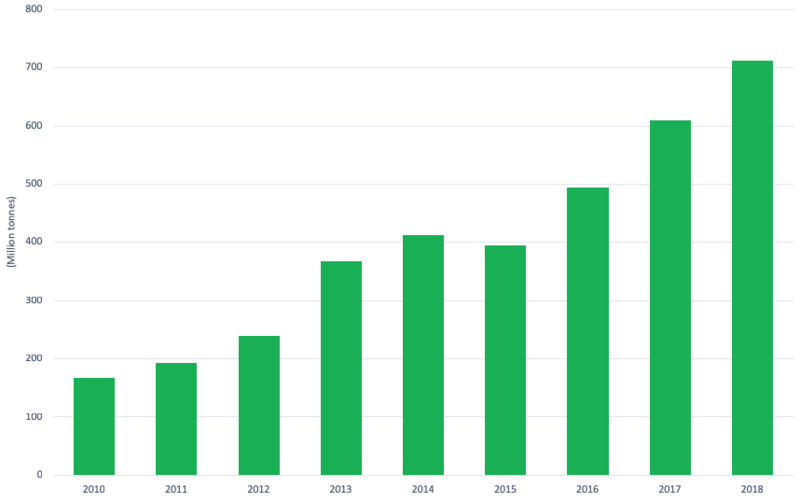 In 2019, exports are expected to rise again, reaching 1.8 million tonnes, with high volumes still heading to China. Cattle ranching in Brazil remains a major driver of deforestation, despite companies – both retailers and meatpackers – making commitments to deforestation-free supply chains. 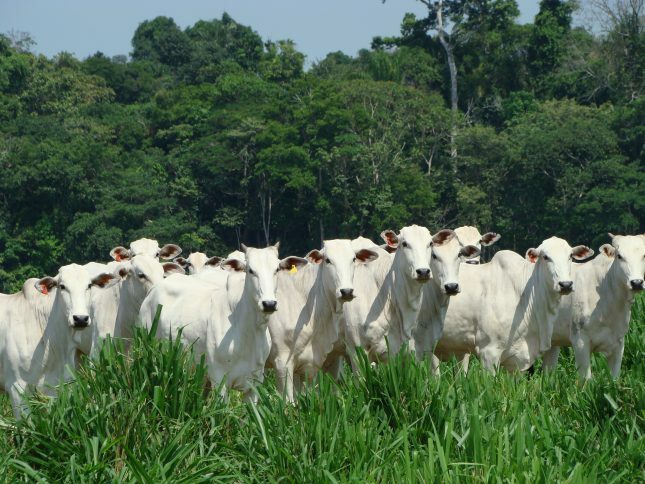 A Chain Reaction Research (CRR) report published in September 2018 showed that cattle-driven deforestation in the Amazon and the Cerrado has occurred as a result of leakage and insufficient monitoring and implementation. Livestock farming makes up more than seven percent of the country’s GDP and 31 percent of Brazil’s agribusiness GDP. Some 19 percent of Brazil’s beef is exported and sales totaled USD 6.57 billion in 2018. In China, consumers, companies and the government are in favor of stricter sustainability standards in agricultural supply chains. Climate change and other environmental damages are growing risks to Chinese citizens as population rises and global competition for agricultural commodities is forecast to continue to increase. In May 2017, the Chinese Meat Association, in partnership with the World Wildlife Fund (WWF), announced commitments for promoting sustainability in the meat supply chain. Sixty-four companies signed the declaration, promising to “continuously move to conserve nature and resources by avoiding land degradation, deforestation and conversion of natural vegetation in the livestock production and feed value chains.” The Chinese government, meanwhile, has acted to implement ambitious sustainability goals through the United Nations 2030 Agenda. The Brazil-China commodities trading connection has been lucrative for Brazilian producers. Amid the U.S.-China trade dispute, volumes of Brazilian soy exported to China rose sharply, leading to increased deforestation in the Amazon. Brazil exported 84 million tons of soy in 2018, a 24 percent year-on-year rise, with a majority of foreign sales heading to China. In December, Brazil sent 4.11 million tonnes to China, double the same month in 2017. That total made up 97 percent of all volumes Brazil exported in December. Amid the change in trade flows, COFCO saw its trading volumes in Brazil rise by almost 18 percent last year. In the global beef market, Brazil is looking to grow its presence in countries besides China. Egypt and Chile are large buyers, and Brazilian exporters are particularly eyeing increasing market share in South Africa, Iran, Iraq, Myanmar, Malaysia, Singapore, Thailand and Taiwan. Brazil’s share in the Middle East could take a hit if the administration of Jair Bolsonaro, the new populist president of Brazil, supports moving his country’s embassy to Jerusalem. Such a move may put at risk approximately 20 percent of Brazil’s beef exports but would likely tighten its trade connections with China. With exports of both beef and soy expected to grow and Bolsonaro now in office in Brazil, deforestation could increase again in 2019. The Bolsonaro administration favors the agri-business lobby in the Brazilian Congress and is looking to loosen environmental regulations and protections for indigenous peoples. The increasing importance of China for Brazilian exports for beef and soy could lead to ESG risks for investors and banks. In soy, the large traders have installed zero-deforestation policies, and expanding exports to China raises ESG responsibilities of its financers and shareholders. In beef, financers and shareholders are involved through large meatpackers such as JBS, which has a history of ESG violations.